Ziggy, one of Repowering London’s interns, at Bannister House estate, Hackney. Creating renewable energy for the National Grid is not always easy which is why community energy is becoming a popular solution. 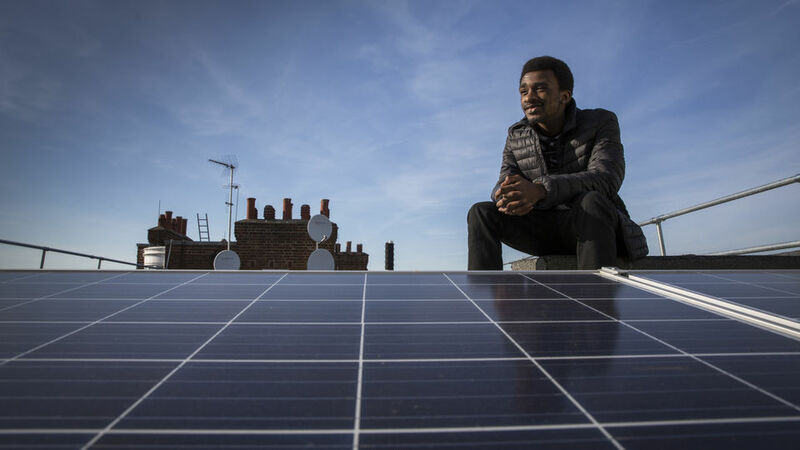 Repowering London delivers community-owned renewable power stations on social housing blocks and community buildings as well as providing internships which further the community’s knowledge and belief in the power of renewables. Its collaborative approach ensures the community are at the heart of their projects and has allowed them to install 234 kWp. 234 kWp of solar capacity installed. 200 MWh of annual clean electricity generation. 24 interns paid at the London Living Wage. The pride, hope and community cohesion that Repowering London’s work inspires is entirely unique in the energy sector. The social and economic impacts of working hand in hand with social housing tenants to own and be responsible for their own clean energy are truly transformative. 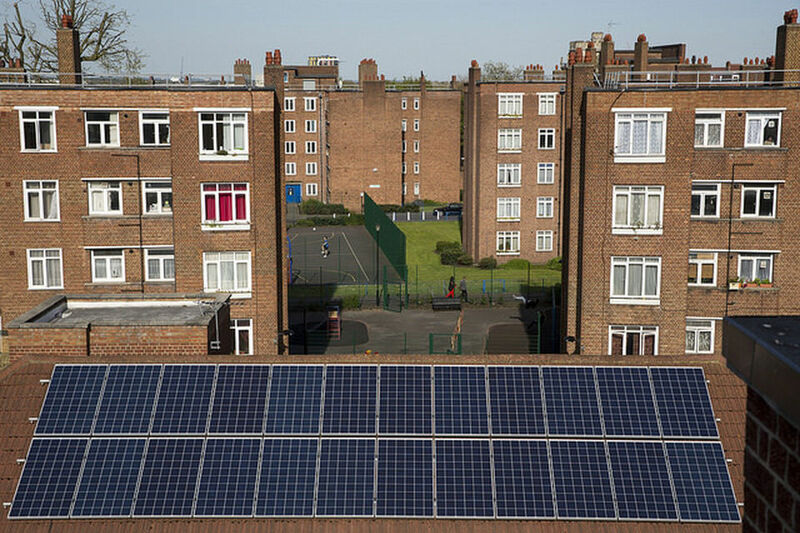 Repowering London deliver community-owned renewable power stations on social housing blocks and community buildings, alongside social works programmes. 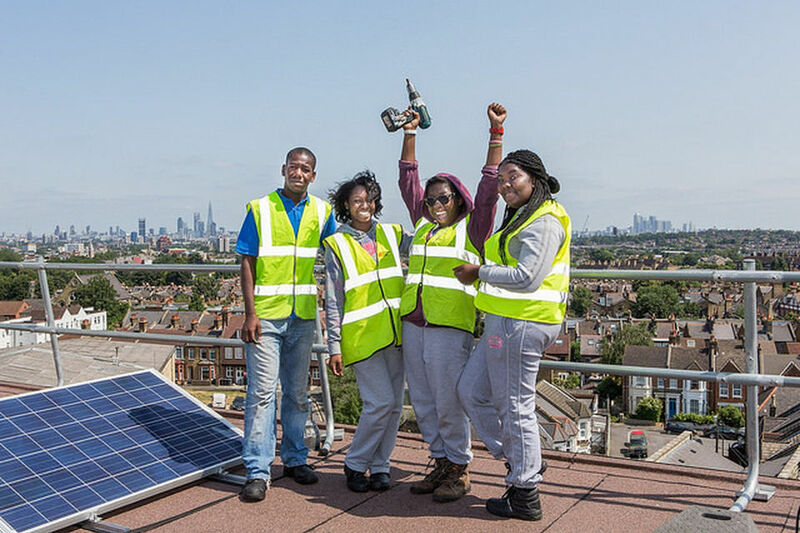 Solar PV arrays on estates in inner-city areas like Hackney and Brixton are generating valuable community funds, and the holistic approach means that fuel poverty and employment and mentoring opportunities for young people and local residents are simultaneously being provided. Started by a group of volunteers, Repowering London is now a Community Benefit Society with a very powerful vision, working in partnership with Local Authorities and community groups to deliver local solutions to local energy problems. A collaborative approach ensures that the interests of the community are at the heart of any project, and its residents are included in every step of the way. 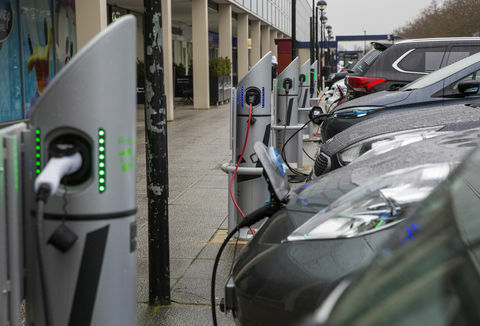 Repowering London has developed a way of generating energy in these overlooked inner-city communities. By working closely with them from the outset it can find out what they want to achieve and help them to do so, producing not just green, clean electricity, but social energy as well. Over six to nine months, it organises weekly meetings to engage the community, providing a 40-week paid training programme for 14-24 year olds, an energy efficiency programme for the fuel poor, elderly and vulnerable, and mentoring for local people to take ownership of their community energy project. This includes running a community share offer, overseeing installation of the solar PV array and managing the system and the income generated. Although Repowering has installed less generation capacity than some other community groups, the social impact of its work in the communities has been significant. Each project gives the community new skills, new reasons to engage with each other, the opportunity to take part in a paid internship programme and above all, results in positive social change in the local area. The investors in Repowering projects tend to live near to the solar installations, increasing the local support for them. Since 2012, Repowering has led the sector in minimum thresholds of investment of just £50 for local residents, reducing the barrier to entry for locals in two of the most deprived local authorities in the UK. Our community was lagging behind others in every way - socially, economically, visibly - but now the Repowering project has given us something to work towards together, and something to be proud of. Even the people you’d never think would get involved can be convinced. 200 MWh annual clean electricity generation. 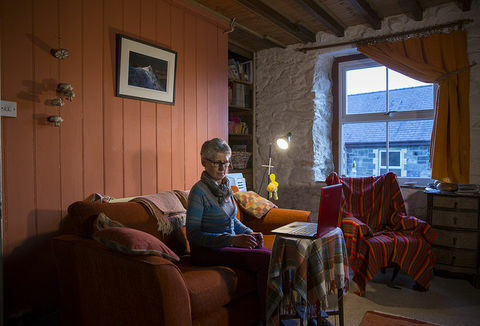 33 home energy audits and resulting energy efficiency measures retrofitted. 385 investors, of which the vast majority live in the local area. Repowering initiates each project by working with the relevant local authority to identify areas that could physically host a solar PV installation and then attending local community events, often collaborating with the local residents’ association or youth group. This stage continues for six to nine months, reaching deep into the community to engage residents who would normally not take part in such schemes. Weekly meetings give residents the opportunity to gain experience across a variety of skills in renewable energy technologies, energy literacy, business, entrepreneurship and public speaking. The local community is then assisted in the formation of a Society for the Benefit of the Community which will own and manage the solar PV installation. Repowering also helps the community with the planning of its project, launching its share offer and managing its community benefit fund. 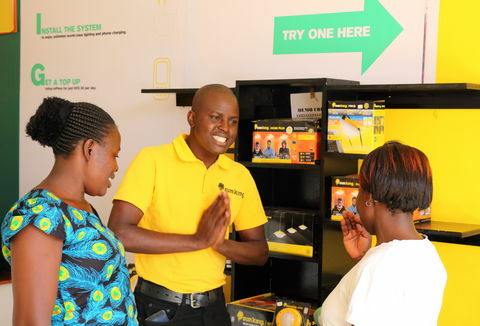 The solar PV installations generate income from Feed-in Tariff payments and the supply of discounted electricity to the host sites, allowing investors to receive a 3-4% return on their investment and generating a reliable surplus to fund community projects over the next 20 years. Bannister House, Hackney's first community solar installation. Repowering generates not just electricity, but social energy. Repowering generates not just electricity, but social energy. The housing estates it has worked with have often been given up on in the past and deemed “too difficult” for projects that engage residents and provide them with opportunities to gain skills and confidence. The grass roots approach it takes in involving communities, rather than imposing projects on them, means that it can identify the most useful opportunities for local residents and help facilitate engagement between neighbours that might otherwise have never happened.